Apple changes how people listen to music with the iPod, makes a lot of money. Microsoft tries to get in on the action with the “me too” Zune. The story did not end well for the Zune. 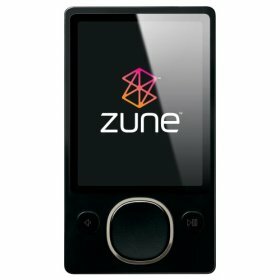 I never saw a Zune in anyone’s hands, ever. The Society for Neuroscience (SfN) is exploring the possibility of publishing a new online-only, peer-reviewed open access journal. The email asks me to take a survey, which I do. The Society is looking at a journal that would be supported by article processing fees of a couple of thousand bucks, open access, that might be a little light on the copyediting. You know, like PLOS ONE or Frontiers journals or the PeerJ (albeit the suggested charges make the proposed journal significantly more expensive than PeerJ). You know, for all that some people criticize PLOS ONE, an awful lot of publishers seem to want to make pointless duplicates of it. And like the Zune, such a journal might limp along for a while. Author submissions expand to fill the available journals, just like clutter expands to fill the available space, and data expands to fill the available hard drive. Is the problem facing authors, readers, the scientific community in general a lack of places to publish? No, it is not. We have enough places to publish. We do not need new journals, unless they can show they do something different in their editorial practices (PLOS ONE) or business model (PeerJ), or maybe focus attention an new field of research. We need existing journals to stop slavishly following the traditions and patterns of behaviour that made perfect sense when only paper journals existed. Stop it, SfN. Just stop trying to reinvent the wheel. Stop believing that the imprimatur of the society is so strong and so meaningful that we are all going to be submit papers to your Zune journal. Talking about Frontiers: if you by any chance have _any_ kind of standing or connection to the people running those journals, could you _please_ ask them nicely to add an RSS feed for new papers? I'm absolutely swamped with papers every day, and I've long since given up on tracking any journal where I don't have a feed to add into my RSS reader. A reader where I can filter and sort things with at least a modicum of efficiency. Frontiers have no feed of any kind, thus I rarely to never see their papers; and it would never enter my mind to publish there since I have no clue what papers normally do get accepted in their journals. "The Society is looking at a journal that would be supported by article processing fees of a couple of thousand bucks, open access, that might be a little light on the copyediting. You know, like PLOS ONE or the PeerJ or Frontiers journals." ... except that "a couple of thousand bucks" is an order of magnitude out for PeerJ! Mike: Fair enough. I was trying to make the point that the suggested fees are not way out of line with all other open access journals. Sure. I don't at all mean to disagree with your point, which is spot on. Only to highlight what an extraordinary thing PeerJ is doing. Just want to chime in with a Me Too to kubke's comment. PeerJ is the only publisher I've ever worked with that sent me two rounds of page proofs (and still went from submission to publication in ten weeks).